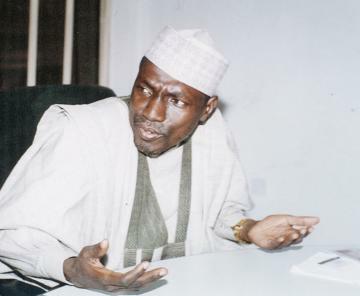 Former Kaduna State Governor, Senator Ahmed Makarfi, on Friday, tasks Northern-based Arewa Online Publishers on the need to prioritize developmental journalism. He also advised the online publishers to always emphasize on national unity and integration in order to contribute meaningfully to the overall development of the country. The Senator, who stated while playing host to Arewa Online Publishers at his Kaduna residence, urged them to write good report about the North and the country as a whole. “Most people in the North prefer radio and television but our youths have gone digital. So it is paramount that you bridge the gap. Earlier, the Chairman of the Arewa Publishers, Mordecai Ibrahim, said the Forum was born out of the need to metamorphosize into globalization trend and to see how the North and the country as a whole, can be projected in good light before the international communities. He however promised readiness of the forum to amplify Senator Makarfi’s projects for the people of the state.